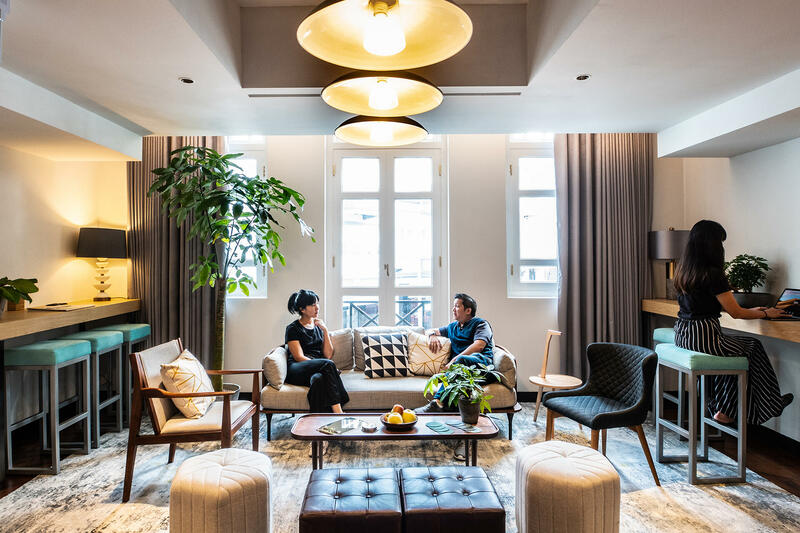 KēSa House is an inviting 60-room, flexible-living concept, housing 6 of the city’s most unique restaurants & bars, all located under one striking roof, in the heart of trendy Keong Saik Road in Singapore’s Chinatown. 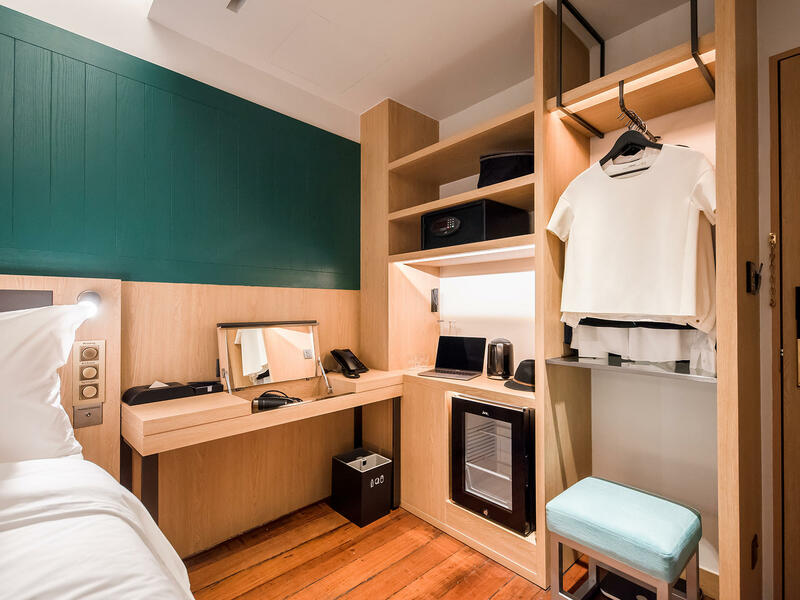 A smart departure from the conventional ‘hotel’ experience. 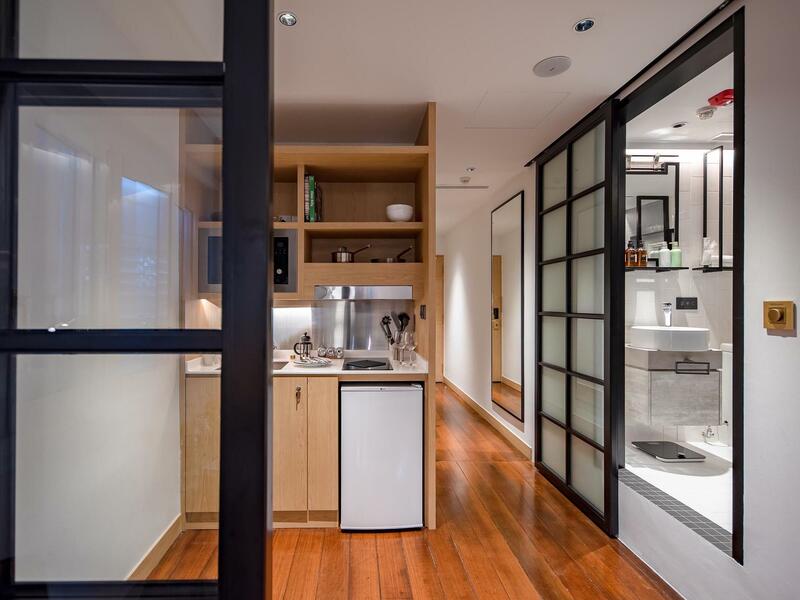 We’re a house full of character, and social by design with communal spaces for you to mingle with like-minded guests and shared facilities that provide the comforts of home. Join us for a stay in our transformed heritage property, a place with century old spirit and colourfully reimagined for locals and tourists. KēSa House is the latest addition to 8M Collective’s flexible-living concepts. Designed for those who want to stop-over or stay a while, our cleverly constructed rooms with customised smart space solutions and homely touches will accommodate all guests, no matter the agenda or length of stay. Considerable comfort from a compact space. Our Cozy rooms have been cleverly modelled for a tranquil, homely stay. Perfect for a quick Singapore stop-over. 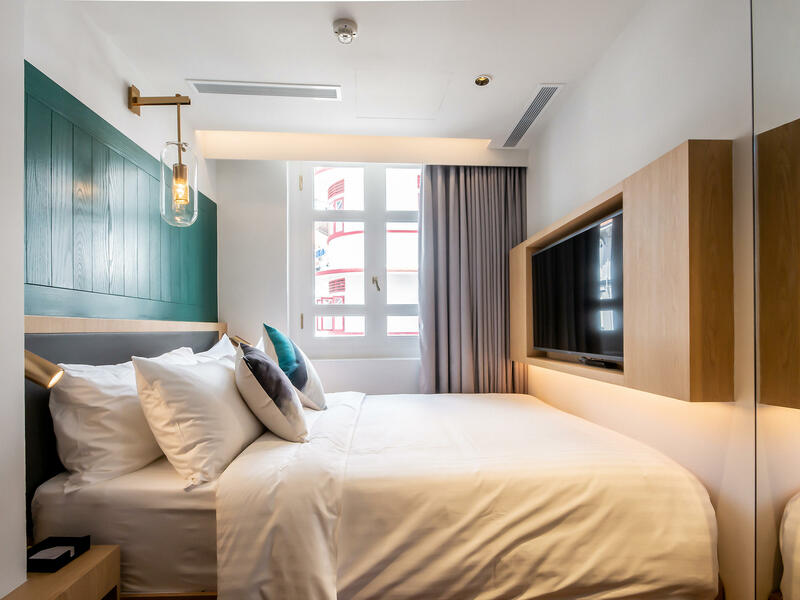 A room with a charming view of the vibrant Keong Saik neighbourhood. Wake up to the morning light shining through the iconic heritage louvered windows when you stay in one of our Urban rooms. 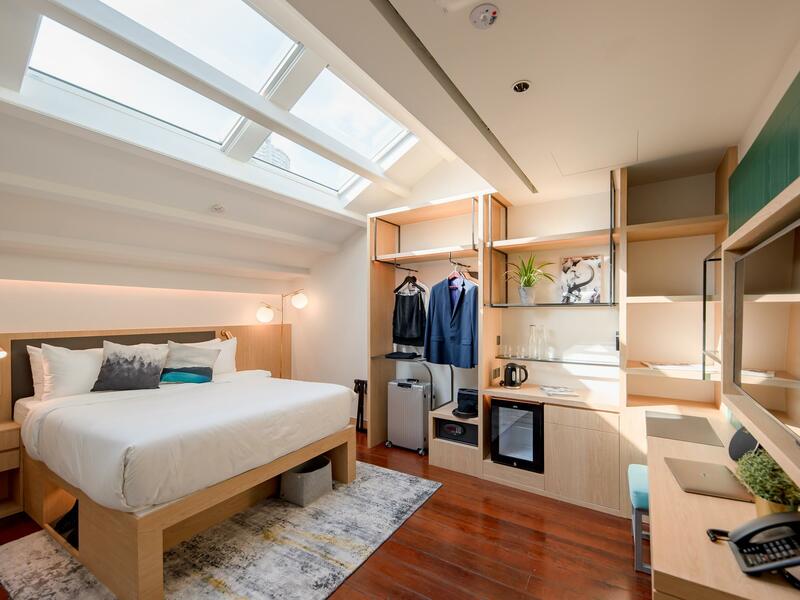 Perched at the top of the property, the vaulted ceiling Sky rooms feel charmingly loft-like and feature a perfectly placed skylight to gaze at the stars. An idyllic room featuring your very own lush green private terrace, offering a tranquil haven to read a book or spend a relaxing evening with friends. Feel right at home in one of our Studios, large open-plan rooms with lounge area containing a comfy couch, fully equipped kitchenettes and other essentials needed for those who want to settle into Singapore life. 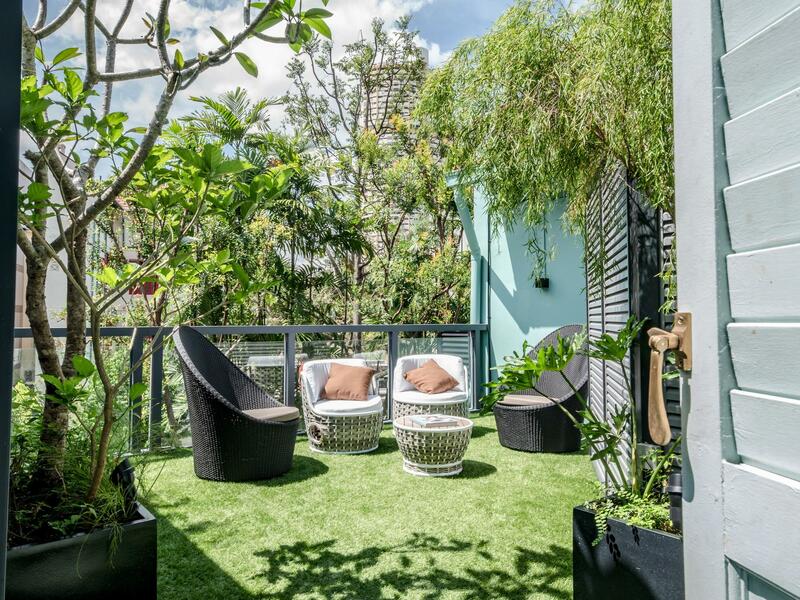 KēSa House is located in one of Singapore’s most eclectic, stylish & culturally rich neighbourhoods, right in heart of the stylish Chinatown and just a stone’s throw from Singapore’s Central Business District. The perfect position for mixing work and play!